Hello and happy Friday! I know recently I have been posting, but not saying much. I’m a graphic designer so I’m on the computer all day, so when I come home I like to put my swollen kankles up somewhere far away from my personal computer. I’ve been getting on just long enough to set up a post and check my emails. 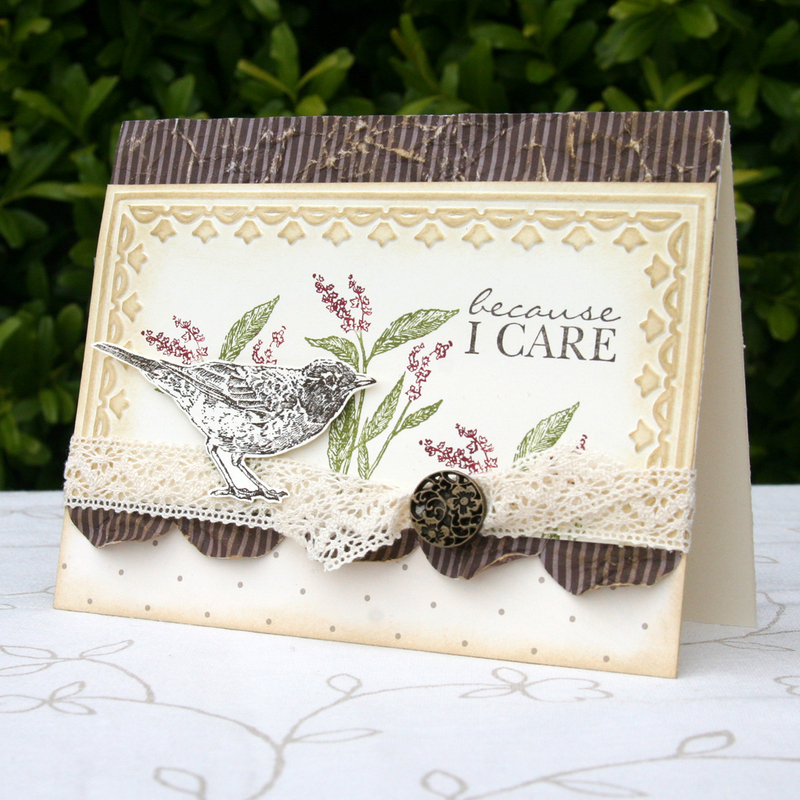 The project I have for you today is a card I taught at a Vintage class I offered awhile back. My husband gave his seal of approval on this one, said it was definitely vintage. I’m really glad the Nature Walk stamp set is available in the new Stampin’ Up Idea Book & Catalog, which by the way is available online sometime today. If you have not seen it yet, here is a link to my website where you can download your very own copy. Unfortunately, the greeting is from a retired hostess set, but the new catalog has so many great new greetings, you won’t even miss it! I hope you and your loved ones have a happy 4th of July weekend! Beautiful! I am glad this made it into the new catalog also!